The royal state of Rajasthan is a destination of historical and cultural interest. But, if you are looking for memorable adventures, here are 10 epic experiences you can only have in Rajasthan, India. Rajasthan is a desert state, so it’s no wonder there are opportunities to go on desert safari. The best place to engage in this exhilarating activity is Jaisalmer, which boasts lots of sand dunes and barren lands. You can opt for traditional desert safari on camels. 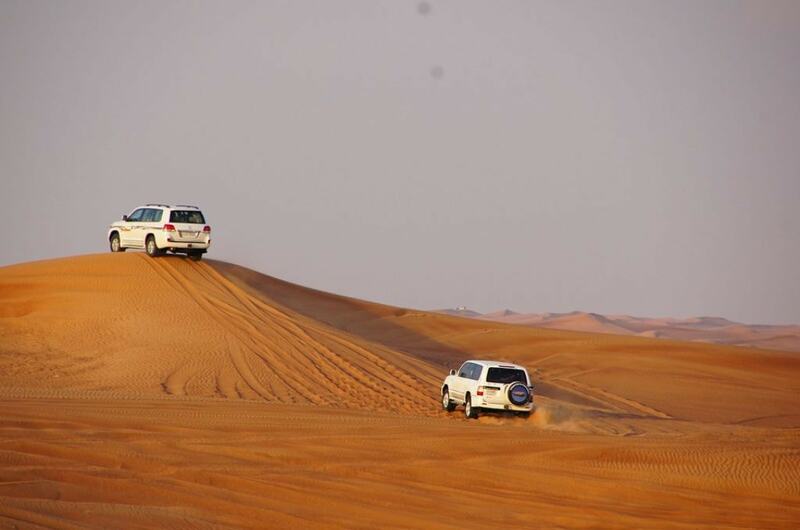 And, if you wish to take things up a notch, hit the desert landscape in a 4×4 SUV/Jeep – an experience like no other! For the best desert safari, visit Sam Village, about 25 miles west of Jaisalmer. There are several tent resorts here that offer packages including camping, dune bashing and fare. So, take your pick of the best! Taking a hot air balloon ride over a desert landscape is an amazing experience that you can have in the ancient town of Pushkar. As you embark on the hot air balloon ride, you will be treated to spectacular sights of sand dunes, lakes, temples and ghats. To ensure a wonderful experience, take the ride during sunrise, when the sun rays blanket the desert landscape, creating perfect photo-opps. Other scenic locales in Rajasthan that offer this eclectic soaring adventure experience are Ranthambore and Jaipur. While the ride in Ranthambore will treat you to the view of expansive greenery and amazing creatures, the ride in Jaipur will let you bask in the panoramas of royal forts and palaces like never before. There are several companies providing this epic experience, the best ones include Adventure Nation and Sky Waltz. Make sure to bring your camera along! One of the largest forts in the country is the Mehrangarh Fort (Jodhpur) that is nestled on top of a vertical cliff, and whizzing along at a high speed over it, on a zip-line is guaranteed to be a mesmerising experience. This enthralling flying fox consists of six zip lines up to 300 meters in length, each one more impressive than the last. Riders can bask in the panoramas of the blue city of Jodhpur, an eco park, two desert lakes and of course, the majestic Mehrangarh Fort. Another perfect location in Rajasthan where you can try out zip-lining is Neemrana Fort. So, if feeling the need for speed, book Flying Fox, one of the best companies offering zip tours in Rajasthan. Though it isn’t an adrenaline-pumping activity, this is one of the most enchanting experiences you can have in the royal state. 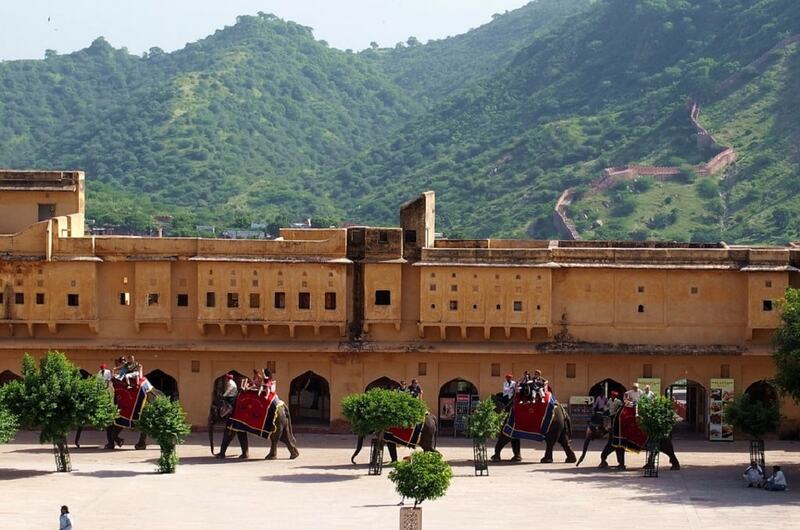 An elephant ride up the hilly terrain to the main entrance of the majestically beautiful Amer Fort is one of the major highlights of visiting the site. The elephants are adorned with traditional painted patterns and colourful rugs and parasols, and seamlessly takes visitors up the hill to the fort. This ride costs around INR 1000 ($ 15.73) for two people and lasts for about 20-30 minutes (depending on elephant traffic). Camel Safari is a quintessential desert experience that lets you explore the rustic and royal side of the state in a way like no other, as well as providing an opportunity to experience the desert lifestyle. The options to take in this experience in Rajasthan are endless. However, the best places to enjoy camel safari are Bikaner, Jaisalmer, Pushkar and Osian. Some of the best camel safari companies you can opt for include Vino Desert Safari in Bikaner, the Adventure Travel Agency in Jaisalmer, and Pushkar Camel Safari in Pushkar. One of the wildest experiences you can have in Rajasthan is taking a jeep safari tour in one of the many wildlife sanctuaries and national parks scattered around the state. The best ones include Keoladeo National Park, Ranthambore National Park and Sariska Tiger Reserve. Taking the jungle safari lets you watch the wildlife in their natural habitat. Tiger, leopards, sloth bears, nilgai, wild boars, sambars, chitals and several species of birds can be spotted. There is lots of action at every turn! Some of the best jungle wildlife tours include Adventure Nation and Welcome Rajasthan. Camping in traditional tents among the seemingly endless sand and enormous dunes is quite an epic experience. And to do just that, Jaisalmer is the perfect place, surrounded by the spectacular Thar Desert and home to beautiful temples, forts and palaces. From basic to luxury camping facilities are on offer. For the ultimate luxury desert camping experience, opt for The Serai, complete with spa, lounge bar, outdoor pool, dining tent and spacious rooms with en-suite bathroom. For a peaceful experience, check out Damodra Desert Camp. Those on budget, consider Oasis Camp. Point to note: Camping in Rajasthan is not suitable year-round. The best time to go for a desert camping trip is October to March, as it makes for ideal camping weather. One of the most exquisite ways to take in the royal sights of the ancient towns of Pushkar and Udaipur is by riding on a horseback, traversing through the rustic and regal alleys. While there are several horseback riding tours available, some of the best ones include Princess Trails in Udaipur and Pushkar Camel Safari in Pushkar. Rajasthan has several trekking trails, each unique and gorgeous in its own way. The best place is Mount Abu, the only hill station in Rajasthan that boasts a spectacular landscape with mountains, verdant forests, scenic lakes and lush greenery, which makes it perfect for trekking. The trekking escapade in this town is relatively easy to moderate. Those looking for a bit more adventurous trek, opt for the eight-hour trek from Ranakpur to Kumbhalgarh, or the Mewar Circuit. These treks are a bit arduous, but the sights are more than worth the effort. The highlight of the trek are the mighty forts, palaces, abundant natural beauty and countryside landscape. One of the most relaxing experiences you can have in Rajasthan is boating amidst the breathtaking lakes. Some of the popular lakes to enjoy boating include Lake Pichola and Fateh Sagar Lake (Udaipur), Ana Sagar Lake (Ajmer), and Nakki Lake (Mount Abu). Visitors can catch the scenic vistas of the ancient temples, ghats and palaces nestled along the shore of the lakes. For a memorable experience and the best views, take a boat trip during sunrise or sunset.